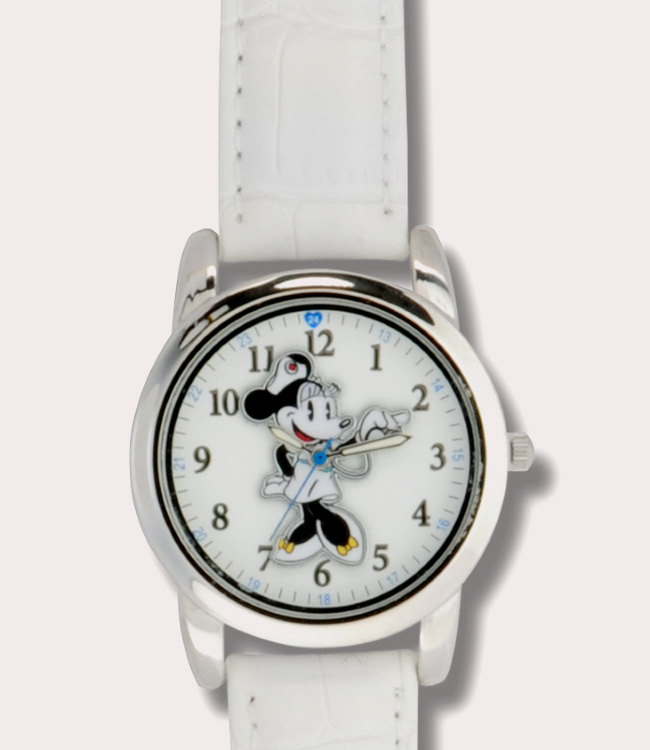 Add some whimsy to your day with fun, Disney® character watches by Nurse Mates! Classic Minnie Nurse watch with 1 3/8" dial and croco textured strap. Military time, water resistant construction and limited 2 year warranty.